J&M Refrigeration provide the supply and installation of a huge collection of commercial air compressors. Designed for use in a wide variety of industries such as retail, hospitality and food procession, the air compressors we provide have been manufactured by world-leading brands and offer state of the art technology. Whatever the type of compressor your commercial refrigeration system requires you can rely on us to be able to supply you with it. Our expert engineers are on hand to perform a meticulous installation too. This post looks into the various advantages commercial and industrial air compressors from J&M can bring to your business. A primary benefit to using air compressors is that they are safe. They are able to operate at high temperatures and provide the convenience and security of only using air itself rather than other energy sources. When compared against equipment that uses electricity there is zero chance of staff who handle the equipment getting an electric shock and in the workplace the safety of your team is always of paramount importance. Compared to counterparts which in the majority are run by electricity, commercial air compressors required less input and are therefore cheaper to run. While providing the same type of production as other types of compressors, air compressors are more beneficial to your business when it comes to keeping your monthly energy bills as low as possible. As well as this, energy efficient compressors help to lower the amount of population your business will output. Industrial air compressors are versatile products. They come in a multitude shapes and sizes and we can guarantee that we will have something that perfectly suits not only your logistical needs but the productivity levels you require too. Air compressors offer a massive output for a range of complex uses thanks to their varying airflows. Another advantage to commercial and industrial air compressors from J&M Refrigeration is that you can make use of our services no matter where you are based in the country. 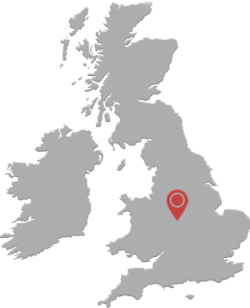 Businesses from every corner of the UK have been using our commercial refrigeration and air compression solutions for more than three decades. We even operate a 24/7 emergency maintenance provision to ensure that should any of your equipment, such as an air compressor, break down then we are available to get it up and running again as soon as possible. As with all the products we supply, the air compressors we offer can be utilised in a number of sectors. No matter the industry your company is in we are sure you will be able to find something that meets your specifications. We pride ourselves on being able to find a solution to every commercial refrigeration or air compression job put our way. To find out more about how you can benefit from the commercial and industrial air compressors we supply you can get in touch with our helpful, experienced team. Call 0121 544 0555 today contact us via email at admin@jamrefrigeration.co.uk.